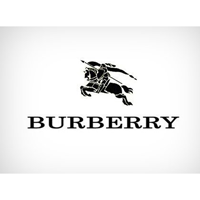 The stock price for Burberry Group plc ticker code: LON:BRBY has decreased -2.74% or -54 points during the course of today’s session so far. Investors did not seem confident while the stock has been in play. The periods high has already touched 1935 while the low for the session was 1876.5. Volume total for shares traded during this period was 598,896 with the daily average traded share volume around 1,353,574. The 52 week high price for the shares is 2338 amounting to 364 points in difference on the previous days close and a 52 week low being 1618.5 making a difference of 355.5 points. Burberry Group plc now has a 20 SMA of 1899.3 and now the 50 day moving average now of 1907.55. The current market cap is £7,899.96m at the time of this report. All share prices mentioned for this stock are traded in GBX. Mcap is measured in GBP. This article was written with the last trade for Burberry Group plc being recorded at Wednesday, April 3, 2019 at 12:02:27 PM GMT with the stock price trading at 1920 GBX. The share price for AstraZeneca plc found using EPIC: LON:AZN has decreased -2.17% or -136 points during today’s session so far. Market sellers were not positive throughout the trading session. The periods high figure was 6299 and a low of 6129. The number of shares traded by this point in time totalled 815,467 with the daily average number around 2,658,169. The stock 52 week high is 6540 around 275 points in difference on the previous days close and a 52 week low being 4825 is a variance of 1440 points. AstraZeneca plc now has a 20 SMA of 6375.85 and now a 50 day MA at 6092.88. The market capitalisation is now £80,410.59m at the time of this report. The share price is in Great British pence. Mcap is measured in GBP. This article was written with the last trade for AstraZeneca plc being recorded at Wednesday, April 3, 2019 at 11:59:58 AM GMT with the stock price trading at 6129 GBX. Shares of BRITISH AMERICAN TOBACCO PLC ADS Common Stock EPIC code: LON:BATS has slid -2.04% or -65 points throughout today’s trading session so far. Investors have so far given a mostly negative outlook while the stock has been in play. The high for the period has peaked at 3153.5 and hitting a low of 3097. The number of shares traded by this point in time totalled 927,354 with the average number of shares traded daily being 4,860,239. The 52 week high is 4339 amounting to 1160.5 points different to the previous business close and a 52 week low sitting at 2336.5 which is a difference of 842 points. BRITISH AMERICAN TOBACCO PLC ADS Common Stock has a 20 day moving average of 3136.68 and now a 50 day moving average at 2910.59. Market capitalisation is now £71,428.09m at the time of this report. The currency for this stock is Great British pence.Market cap is measured in GBP. This article was written with the last trade for BRITISH AMERICAN TOBACCO PLC ADS Common Stock being recorded at Wednesday, April 3, 2019 at 12:02:20 PM GMT with the stock price trading at 3113.5 GBX. Stock in Coca Cola HBC AG company symbol: LON:CCH has moved down -1.82% or -48 points during today’s session so far. Market sellers were far from a positive bunch while the stock has been in play. Range high for the period so far is 2642 dipping to 2586. The total volume of shares traded by this point was 146,665 whilst the average number of shares exchanged is 928,512. The 52 week high for the share price is 2817 some 179 points difference from the previous close and the 52 week low at 2224 which is a difference of 414 points. Coca Cola HBC AG has a 20 SMA of 2633.25 and now the 50 day moving average of 2625.16. This puts the market capitalisation now at £9,427.24m at the time of this report. All share prices mentioned for this stock are traded in GBX. Mcap is measured in GBP. This article was written with the last trade for Coca Cola HBC AG being recorded at Wednesday, April 3, 2019 at 11:59:59 AM GMT with the stock price trading at 2590 GBX. The stock price for Diageo plc ticker lookup code: LON:DGE has decreased -1.78% or -56 points during today’s session so far. Market sellers aired on the negative side while the stock has been in play. The period high was 3119 and a low of 3080. The total volume of shares exchanged so far has reached 1,267,886 with the daily average at 4,680,641. 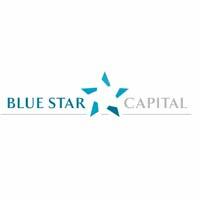 A 52 week share price high is 3156.5 about 15.5 points in difference to the previous days close of business and a 52 week low sitting at 2376.5 a difference of some 764.5 points. Diageo plc now has a 20 SMA at 3101.05 and now a 50 day moving average at 3009.18. The current market cap is £73,887.92m at the time of this report. The currency for this stock is GBX. Market cap is measured in GBP. This article was written with the last trade for Diageo plc being recorded at Wednesday, April 3, 2019 at 12:02:24 PM GMT with the stock price trading at 3085 GBX. Click AZN BATS BRBY CCH DGE for the full archive.